Whatever you call them, the best part is that they’re one of the most sustainable ways to buy clothes. Usually at a fraction of the cost too! 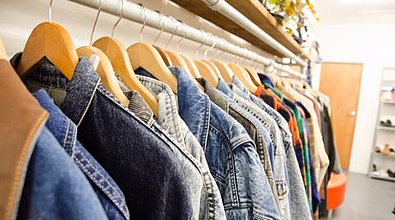 Whether you’re after wardrobe staples or a designer outfit, there is no doubt that the next addition to your closet is currently living in one of the stores on our Wellington Op Shop Guide. I’m a huge fan of op shopping and I’ve made a conscious effort to not buy anything new over the last 12 months (*Disclaimer: I did buy one new dress for a wedding that I was a bridesmaid for and I do get the odd Little Yellow Bird shirt gifted to myself) so I've really gotten to know a few of these places. 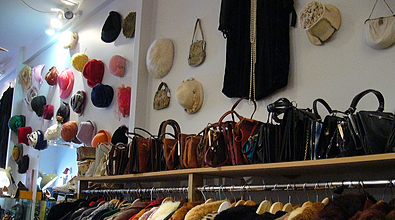 While Cuba St is the obvious choice for Wellington's vintage fashionista’s, there are some lesser known op shopping destinations further afield that should definitely not be missed. So, for your shopping pleasure, we’ve put together a list of op-shops you should be taking advantage of ASAP. Fabulous for unique fashion finds, or curiosities for the kitchen that are not to be found in your general retail outlet. 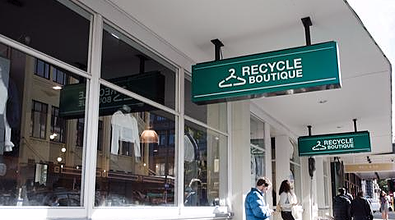 Recycle Boutique is great for basics and affordable second-hand clothing. Be prepared to sift through the racks and have plenty of patience. On more than one occasion I’ve walked into this place, become completely overwhelmed by the number of choices and left empty-handed, so you definitely have to be in the mood for this one. But determination is definitely rewarded at Recycle Boutique; there is the opportunity for a killer haul if you're up for it. Thrift is relatively new on the block but with a sharp eye for fashion and a major focus on sustainability, they are one of our favourites. 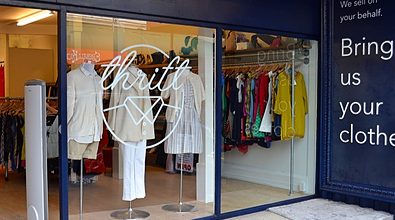 Thrift operates on a 50/50 basis selling your pre-loved clothing and giving you half the proceeds, can't ask for much better than that. 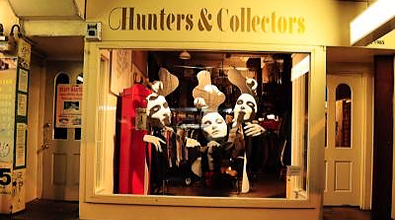 A mainstay of vintage fashion, Hunters & Collectors is one of the most iconic vintage shops in all of Wellington with arguably one of the best window displays. I have a dress that I purchased second hand from this store over 15 years ago which remains a staple of my wardrobe even today. Spacesuit specialises in importing on-trend but definitely not mainstream fashion. One of the few that has more of a focus on menswear, if you're into edgy tee's and jackets make sure this place is on your hit list next time you're out and about. I remember visiting Ziggurat as a teenager, thinking their clothes were so cool. Unfortunately, I don’t think I’ve ever been quite cool enough to wear 90% of the things here, but occasionally I do find something I can pull off (just). More on the pricey side, Ziggurat caters for the designer end and true vintage market. For me Honour Fashion is my go to, and not just because I found my favourite pair of jeans there (which, I kid you not, I wear six out of seven days every week). I love Honour because every time I walk in, it’s obvious how much love and care Sue has taken to curate her store’s goods. I’ve found the products to be of good quality and fairly priced. And, my personal favourite part about this place, Honour never throws anything away! 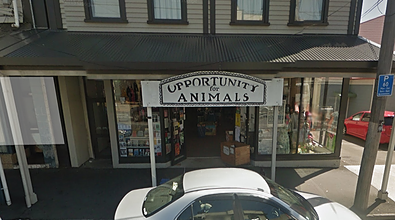 If you like to combine your love of animals with your shopping habit then The Opportunity for Animals op-shops should be your go to. Selling secondhand clothing as well as household goods while fundraising for the Black Sheep Animal Sanctuary. It's a bit of a walk away, being in the heart of Newtown on Riddiford Street - but you can catch the number 1 bus from Courtney Place to get there. Apparently it's a pet friendly shop too! 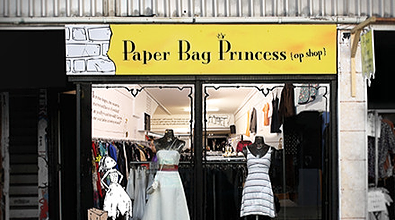 Paperbag Princess is further down Cuba but a must visit for affordable second-hand gems. 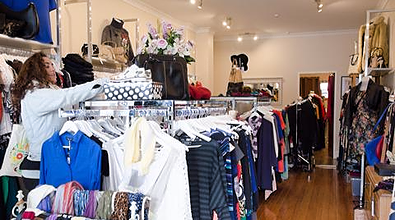 A mix of basics and designer gear this store will take your quality basics on consignment. I always walk away with something I love at Paperbag Princess. Plus, PBP has a price cap of $20 on all items - awesome! 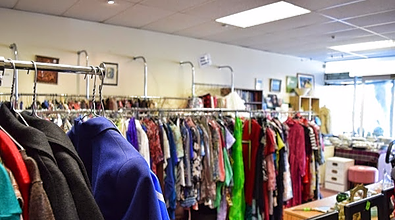 With stores nationwide, The Salvation Army Family Stores can be found in almost every city with 16 stores in the wider Wellington area. The Salvation Army not only has great bargains, they also provide support to more than 120,000 New Zealand families each year. There's heaps of Sallys around Wellington, but I frequent the one on Willis Street. There's always heaps of bargains on clothes, furniture and nick-nacks. 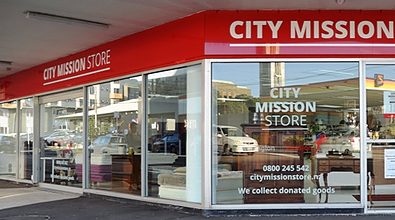 The City Mission Store offers a whole range of goods including some of your new favourite clothes at truly affordable prices. Other than clothing the City Mission also has furniture, house ware, movies, books and more. They're always looking for donations, so if you have any quality goods to give away, go and drop them in. All profit from this store goes to the Wellington City Mission, so it's a great cause! As a city slicker with no car, my only disappointment with the Wellington op shop scene is that we do not have a SaveMart in the CBD. For those of you that have not yet experienced a SaveMart excursion, I highly recommend you get on it. 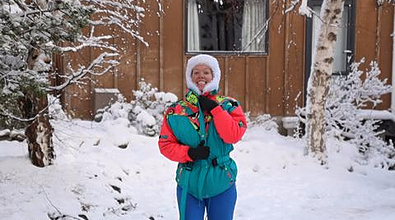 In fact, my all-time most talked about wardrobe item is my 80’s jacket, purchased two years ago from SaveMart for just $14. They simply don’t make them like this anymore. I'm not sure why, maybe because it's a bit further from town but there is always a good find to be had at The St Vincent De Paul Op Shop in Miramar. If you love bright colours and old school style make sure to add this one to your list. There's probably heaps more Wellington Op Shops we missed, let us know on Facebook your favourite Op-Shops and we'll add them to the map! organic clothes & uniforms for conscious consumers. What a fantastic idea! I always look forward coming back to revisit goodies likes of Secondo and Labels in Thorndon Quay and what’s new on the block. 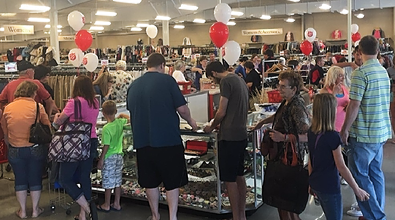 And the thrill of these fabulous stores you can pick up one of a kind and unique outfits at half the price and sometimes cheaper. Hope to visit most of them if not all in our timeframe here in Wellington. Hello! That’s a good list but a little disappointing one of the best gems of Wellington wasn’t mentioned ! The David white gallery on Abel smith street has been a cult classic of Wellington as far as I can remember , and one of the originals to last the test of time through out the year!